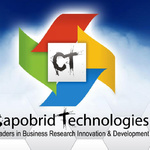 Capobrid Technologies has been in the business of providing services related to software development, IT consulting and world class offshore outsourcing solutions for the past...Read moreCapobrid Technologies has been in the business of providing services related to software development, IT consulting and world class offshore outsourcing solutions for the past 8 years. Capobrid Technologies is managed by Silicon Valley based high-tech professionals with extensive experience in enterprise and consumer software product development. Its head office is located in London, UK, while offshore development offices are located in Lahore and Faisalabad, Pakistan. 16.Kiosk based touch screen applications handling multimedia, USB hardware device communication and biometric stuff. Java core API, Swing, JDBC API, Servlet API,JSP. Struts, Servlets/JSP, J2EE, Hibernate, EJB. IBM Web Sphere commerce framework. MyEclipse IDE for J2EE projects, NetBeans, Eclipse, Xcode. Microsoft Sql serverver been known to compromise on the quality of our services. Kindly share your requirement with me. If you have any query feel free to contact me.